Tag Archive | "mortgage electronic registration system"
Could this AMICUS BRIEF bring MERS into the ICU? Just to be clear SFF will post any correspondence from within those we mention on this blog and use it as a plat form to communicate. Everyone is watching this site. If you do comment please do so in a pleasant manner. MERS submitted the following to Salt Lake Tribune Letter to the Editor. We have not yet learned whether they will publish it. “The Tribune’s April 24 article on MERS was filled with errors and missing facts—facts that we had provided to the writer before the article was published. Contrary to the article’s assertion, MERS does not remove land ownership information from public records because that information was never there to begin with. MERS fills an information void that the county records have never provided. We track the changes in servicing rights and note ownership, and we have helped numerous homeowners find their note owner. In fact, homeowners can contact their mortgage company through MERS and MERS can connect them with the note owner of their mortgage loan when the owner has agreed to be disclosed. The borrower makes MERS the mortgagee with 100% transparency because they sign a document at closing acknowledging that MERS is the mortgagee. 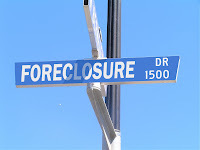 MERS also has a rule requiring that the note be presented at foreclosure.